The wait is finally over. After waiting over two years for a new album, the day has finally arrived. 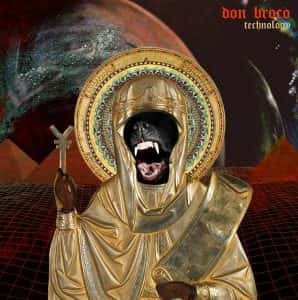 Don Broco have dropped Technology. The Bedford guys have been teasing us fans since 2016 with tracks from the album such as Everybody, Pretty and Technology, and when they did, we knew that this was going to be an album to remember. With a mixture of 80s vibe, metal and punk rolled into 16 tracks, the band have found the perfect balance between the variety of genres. 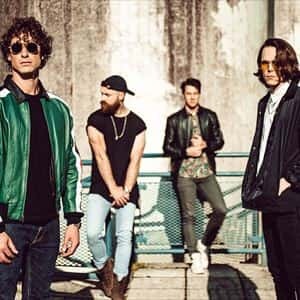 The band shared a total of seven tracks before the realise of the much awaited album, one song, Tightrope, was released just yesterday as the band could not wait a second longer for the track to be shown to the world. Fans even urged the band to stop releasing tracks as they feared there would be nothing new to be heard but the remaining nine tracks certainly proved us wrong. No song sounds the same and that is a big YES in our books. The album title track is the perfect taster song of what to expect on the album. The song is about how the band hate the fact that social media and mobile phones have taken over peoples lives and that they are not taking notice of anything going on. Hence why the video features a smartphone as the main image and an alien invasion going on in the background but the person is yet to realise. All tracks have infectious choruses especially Porkies, Come out to LA and ¥. The drop beat after the first chorus in Porkies, at 1:20, is something that can only be described as absolute genius. The simple bass and drum beat behind Rob’s voice brings this whole over effect to the song that the others don’t. Even in ¥, you think that the song is going to be a slowish song until it kicks in at 15 seconds and WOW the heavy guitar leading in to the verse is something out of this world. Even the killer outro is something that just makes you buzz over the whole album. The songs all have quite random meanings behind them, from Brexit to social media to even fake news, they have it all. Even the mention of Rob’s hatred for chilli con carne in Good Listener. The use of the cowbell in Everybody and Greatness brings back the memories of seeing them at SlamDunk Festival, and the band pointing out that a guy had a cowbell in the crowd. Maybe they used him as the inspiration? Who knows! But what I can say is that this album is a mixture of Priorities and Automatic all rolled into one perfect album. The music videos they released before the album release, added to the excitement of the album. From cutting each others faces off in Pretty to being chased and kidnapped by a cowboy in Everybody and even Rob getting killed and becoming a robot in Come out to LA, the videos, directed by Benjamin Roberds, certainly made the songs come to life. After hearing a few of the songs live at SlamDunk last summer and their biggest headline show ever at Ally Pally back in November, the wait was certainly worth it and I can probably go as far as even saying that this is their best album of the three. Overall, I can not fault the album. With a rocky back end to 2017 of serious allegations towards the band, they certainly put that behind them and put out an absolute banging album. The guys have just started their UK tour yesterday for the promotion of the album and I will be seeing them at three dates and I can’t wait to hear what the tracks sound like live. So Rob, Matt, Tom and Simon, well done lads. Well done.